While some of you are quite familiar with our tier terminals and system, we still do get questions on how it operates and the functions it provides. So here is a detailed manual on the many functions and operating the terminals to make the most out of the tools we at ZoHa Islands provide our residents. Help us help you! Upon purchase of any of our land you are given a Welcome Package with a ZoHa Islands Tier Meter inside the folder along with some other useful information, Notecards and Landmarks. Below is a picture of exactly how these tier meters work – they can help you plan when your tiers need to be paid, and in turn help with the workload of sending overdue notices from our staff. If there is an instance where you are going to be late – please contact us via support ticket so we can note your account (Please note approvals on late payments are done on a case by case basis and depend on your payment history with ZI). We also offer a daily pay option for those times when L’s may be a bit tight or you are going away a few days RL. If by chance you need a new one – they can be picked up next to the tier terminals located in our sales office. The boards are 1 prim so can easily be rezzed and hidden in an discrete place on your land. 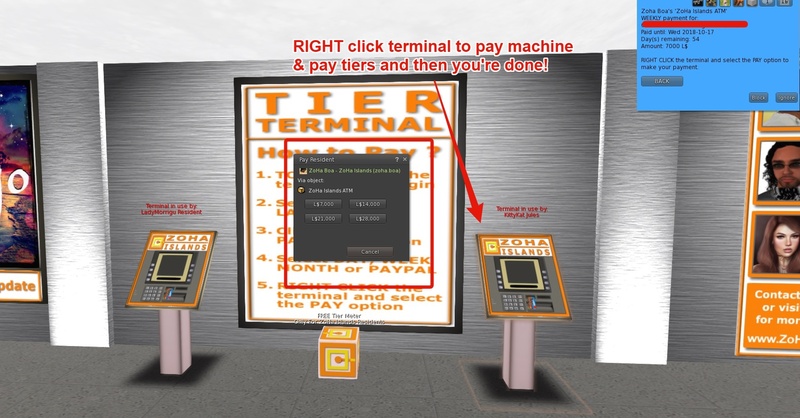 Here is a step by step instruction on how the tier terminals function and the wide array of options they do provide. They can be found in our sales office. In the Next Menu you can Select to receive a Notecard with a Link to Available Parcels, Visit our Website, See your Payment History or Make a Tier Payment – Please select the option that best suits your needs. In the Third menu -you can select the payment amount of your choice – Daily – Weekly Monthly and/or PayPal – Even set up recurring payments – so you don’t ever have to visit the terminal again 🙂 Tiers can be paid via Paypal even if you don’t have an account using your debit/credit card. To complete the transaction using Lindens – Right click the terminal at this point and pay the appropriate amount – your account will be automatically credited. You can pay with a one time payment via PayPal or a Automated Subscription. 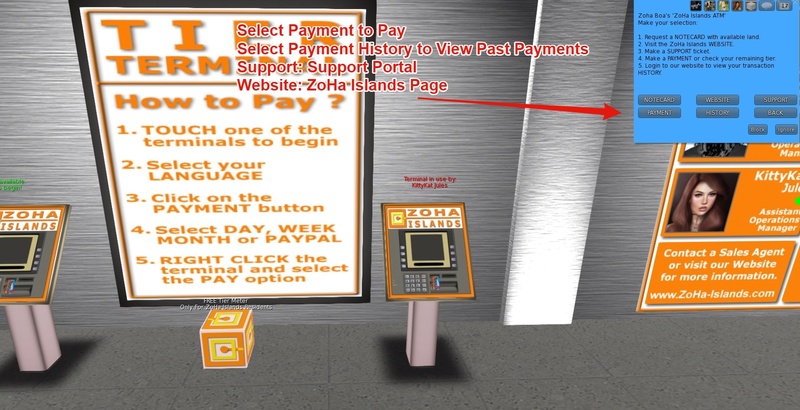 PayPal payments are manually processed once/twice per day by ZoHa Islands Owner. 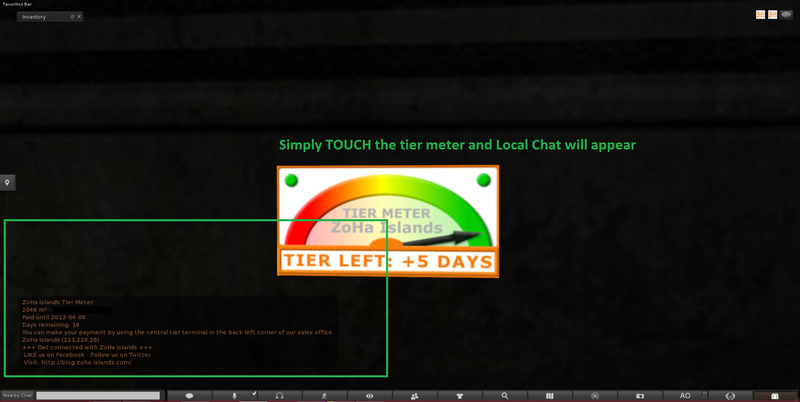 Because of that it is possible that the tier terminal is not up to date when you check your remaining tier. How to cancel your PayPal subscription when needed? 1. Log into your PayPal account on http://www.paypal.com. 5. Click the CANCEL button. This entry was posted in EVENTS, HINTS & TIPS, NEWS, SHOWCASE. Bookmark the permalink.